Turning things upside down! That’s the way Jesus seems to go about things, whether its the Tables in the Temple precincts or who gets to be boss versus who gets to be bossed. He says in today’s Gospel that he comes not be be served but to serve. He is the One who washed their feet the night before he died for all. He left an indelible mark upon us. Yet, given our human nature, we seem to forget as soon as we look away. After all, we have to live, learn, work and play in this world. And in this world there are bosses and those who get bossed around. There are bullies and bullyboys, and those who are bullied. Those are just the facts. The abuse inflicted and suffered in the church, the business world, entertainment and politics is well documented. The #MeToo movement is but the latest manifestation of those who seeks to right the ship. We can only hope for more. 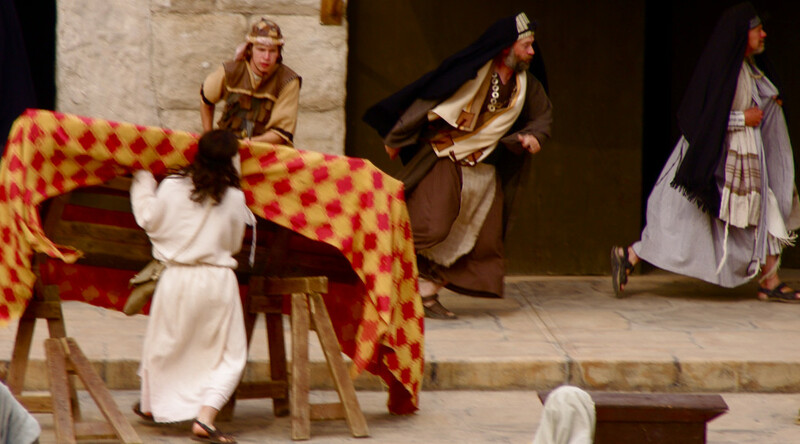 In today’s Gospel, the sons of Zebedee want Jesus to do whatever they ask of him. After all, they were political zealots, the ones who sought the overthrow of the government, and they felt they deserved special seating at the right and left hand of Jesus. I suppose they thought they should wield power from the throne room of God. They had a case. The occupation force at the time was the distant Roman government, well known for swift reprisals for any uprising or questioning of authority. Jerusalem resented Rome. Jesus own family was driven away from the Bethlehem of his birth, for fear of his life. 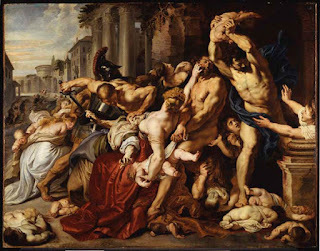 The slaughter of the Innocents soon ensued. It was a dark time for the folks who sought freedom and self rule. Again and again the brutal oppression of the ruler’s rod is meted out ruthlessly. The Book of Job deals with the problem of suffering and injustice. Job was a good man. So much so that when God and Satan are pictured as in conversation about the dilemma of the human condition. God says do what you will with my servant Job, but he will never curse me. Satan had a field day with him. He took away his beloved family, his wealth, and finally his health. He visited him with sores so painful that Job could not find a moment’s peace even in his sleep. Job was tormented also by “friends” who tried to explain his condition by postulating that he must have done something to deserve all this…some sin, some offense, some something to deserve the calamity that befell him. Job’s physical torment was now exaggerated by the conversation of those who surrounded him. There was no relief. Folks, this is the way things are. Things are often upside down. The suffering makes no sense. Lets face it, when we see the good and the righteous suffer, no fault of their own, we cannot help but question God. "Who is this that darkens counsel by words without knowledge? 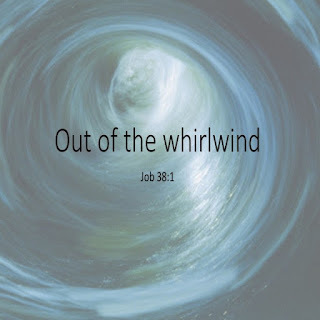 Job remembers his rightful place in obedience to God. And God restores Job to all that he had lost and more besides. Jesus also learned obedience through what he suffered, the Epistle tells us. And he became the source of salvation for all who obey him. When I served as Interim in Sandwich, on the Cape, a faithful woman of the church, took sick and was admitted to Beth Israel for surgery. When they opened her up, what the surgeon saw convinced him that the best thing to do was to sew her up and break the news to her straight on. I went to visit her at her home and she was remarkably collected given the facts as she faced them. I told her I’d get back to her on that. She was thrilled to hear the news, and willing to accept reasonable limitations. She was obedient to her fate and kept it in her faith. We played out the Game of Heaven until those last days. I remember the end. It was Sunday night. We had just arrived home from Sandwich. I had changed into my jammies to watch the Bruins take on the NY Rangers and the phone rang. It was the head nurse. She told me the end was near. I suited up and off we went into the cold winter’s night. Thankfully, there was no snow, just a cold and bitter wind to fight driving down the Cranberry Highway. The last to go is the hearing, and those are the words I wanted her to hear in those sacred moments. 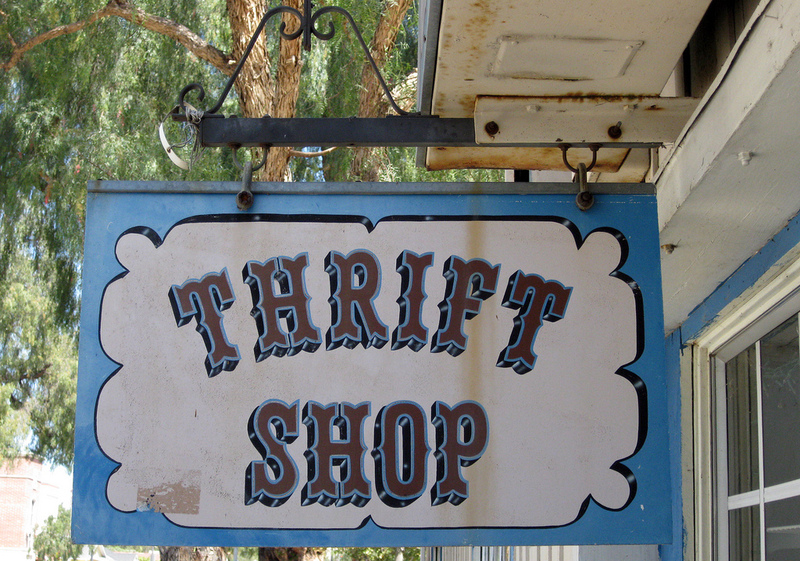 I whispered to her that all was in readiness in the Thrift Shop. You can go anytime now. The nurse standing by teared up and thanked me and Cindy for coming. We drove back to Lynn. I’m told it wasn’t long afterward that she died during the night. The nurse expressed profound gratitude for the experience we shared. God spoke to Job out of the whirlwind. God knows we suffer. God knows those we love suffer. God made us the way we are. God made the world the way it is and nature has her way with us. And so it was with Jesus too when he suffered and died upon the cross, no fault of his own. It was the brutal bullying of his own time that became the vehicle through with Salvation has come to us all. As we say time and again in the heart of the Eucharist. That the central fact of Faith! And the coming his again as you and I become the hands and feet of Jesus. The Breaking of the Bread, a symbol of our brokenness is also a symbol pointing to God’s healing grace and power. The Tables have turned upside down. We are here not to be served but to serve. The very power of the Gospel. The very power of Jesus the Christ.